Bradt Travel Guides is offering Adventure Associates customers a special 20% discount on copies of SVALBARD. 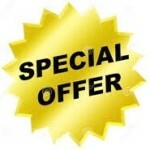 To claim your discount, please purchase via the Bradt website www.bradtguides.com and enter code ADVENTURE20 at checkout. 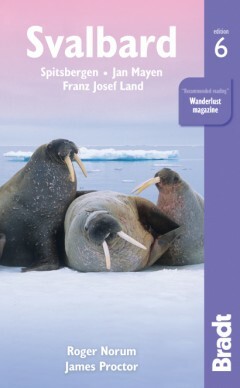 The Bradt guide to Svalbard, including Spitsbergen, Franz Josef Land and Jan Mayen, is a unique, standalone guidebook to this evocative Arctic archipelago, a place that is plunged into darkness for four months each year and where there are 4,000 snow scooters for a population of just 2,500. This new sixth edition has been thoroughly updated throughout and offers new material on everything from adventure tours to accommodation, environmental change to restaurants. Also covered are the restoration of Barentsburg and the opening of Svalbard’s historic mine to visitors Newly updated and amended, this edition reflects important recent changes in the archipelago, making it the perfect guide to a quintessential bucket-list destination. Possibly the most remote destination in the developed world, Svalbard is as off the beaten track as you can get in Europe today. It is the planet’s most northerly settled land and the top (if not the end) of the world, and it was on and around Svalbard that most of David Attenborough’s Frozen Planet was filmed. A trip to Svalbard easily lends itself to notching up geographic superlatives (most northerly kebab, most northerly souvenir shop, etc) and adventurous travellers seek out experiences such as husky driving and hikes across the permafrost. The main tourist period falls in Svalbard’s brief summer, from June to August, when it’s light around the clock and not very cold. However, increasingly popular for winter sports – especially because the next few years will enjoy unusually high Northern Lights activity – are the so-called ‘light winter’ months (March-May), when there is both sunlight and snow. The winter season (November/December-March) offers many possibilities for outdoor adventure – and the polar night is an experience in itself. Despite winter temperatures that can drop to over 40 below zero, Svalbard’s glorious mountains, majestic fjords and sprawling valleys are the perfect setting for adventurous journeys out to the back of beyond. This brand-new edition of Svalbard provides all of the practical and background information you’ll need to explore this wild place, turning the hostile into the hospitable. Roger Norum is a social anthropologist and travel journalist with extensive experience studying, working and travelling in Northern Norway. He has authored several guides to Norway and regularly writes about Norway for publications such as The Telegraph. Roger currently teaches Norwegian language and translation at University College London, and holds a post as Research Fellow at the University of Leeds, where he carries out research on the links between tourism, travel writing and environmental change in the European Arctic on an EU-funded project, Arctic Encounters: Contemporary Travel/Writing in the European High North. Roger won the silver medal for Travel Writer of the Year in 2010 from the British Guild of Travel Writers. He is fluent in Norwegian and Russian, and holds a doctorate from the University of Oxford. James Proctor first came across all things Nordic as a student. After mistakenly wandering into a Swedish lecture, he soon realised that his native Yorkshire dialect, liberally laced with dozens of old Viking words, was going to make learning this offbeat Scandinavian language a doddle. And so began a love affair with the Nordic countries, which has endured to this day – 30 years or so later. As the BBC’s Scandinavia correspondent in the 90s, James travelled widely across the Nordic countries and has since written no fewer than six travel guides to the region. He first visited Svalbard in 2017 and, despite his knowledge of northern countries, was still struck by the fact that it takes a full 1½ hours by jet-engined 737 to reach Svalbard from northernmost Lapland. A trip to Svalbard will always be one of those once-in-a-lifetime adventures and James is glad to count himself among the members of this still rather exclusive club who have made it to the High Arctic. Today he divides his time between the South of France and his beloved Yorkshire. Anika Paust left her studies in Aerospace Engineering to travel the world, but ended up in the tiny town of Longyearbyen just 1,300km from the North Pole, and on the opposite side of the planet from her home town of Perth, Western Australia. Her work as the international sales manager for a major tour operator enables her to combine two of her passions: travel and Svalbard. Having lived in Longyearbyen since 2008, she has seen a number of changes to the town and the region over the last few years, and is excited to see the development of the archipelago as a sustainable destination for year-round tourism.